I have been trying to provide you, my readers, with sufficient solid information on the Iran deal so that you can grasp its horrors – without overwhelming you with enormous technical minutiae, which can make the head spin. Try to wrap your heads around this, my friends. It was already a disaster that Obama went along with removing the UN sanctions against Iranian use of ballistic missiles. The point has been made repeatedly that this should not have been part of the deal at all, because the negotiations were about nuclear development not conventional weapons. In the end, Obama tried to soften this by representing it as a victory because there was an eight-year delay in Iran’s ability to use ballistic missiles. But as it turns out, this is a lie. Iran just may have the leeway to start now. “It is frightening and of great concern that even the minimal supposed obligations of the Islamic Republic of Iran in this disastrous, lopsided deal may not be binding on Iran. “’Iran and E3/EU-3 [that is, P5 + 1] will take the following voluntary measures’ within the timeframe as detailed in this JCPOA and its Annexes. “The phrase ‘voluntary measures’ is also repeated elsewhere in the JCPOA…. “The very title of the deal, “Joint Comprehensive Plan of Action” – merely indicates a plan – not a binding agreement. The term JCPOA is used throughout. I have the feeling that this whole fiasco is imploding. What P5 + 1 has is not a “deal” with Iran, a binding accord, but a whole lot of words that sound technical but are merely cover to present to the world, while allowing Iran to do pretty much as it pleases. Obama and Kerry have shown endless readiness to make concessions to Iran, likely assuming that this would bring them closer to Iranian officials, in a spirit of goodwill. But here is the lesson, writ bold: Concessions made in the Persian bazaar invite contempt, not gratitude. Big concessions yield huge contempt. Will Congress tolerate this attitude? The American people? I want to remind one and all to contact their elected members of Congress, if they have not done so yet, and to attend a “Stop Iran” rally, if possible. More information follows below. In speaking with your Congresspersons and Senators, or their aides, remind them that the Founders of the United States envisioned three branches to the government, so that there would be checks and balances. If the elected officials on Capitol Hill merely cave to what the man in the White House wants, they are failing to fulfill their responsibilities as outlined in the Constitution. If America is to stay strong, this cannot be allowed to happen. ”As far as the Obama administration is concerned, now that the UN Security Council has anchored the agreement in a binding resolution and so given the force of international law to a deal that guarantees Iran will receives the bomb and $150b., the deal is done. It cannot be walked back. ”But this is not necessarily true. Congress may have more power than it realizes to kill the deal before Iran gets the money and before its other provisions are implemented. ”Over the months leading up to the conclusion of negotiations last Tuesday, Obama refused to acknowledge that he was negotiating a treaty. Rather he said it was nothing more than an executive agreement. ”Consequently, he argued, the US Senate’s sole authority to ratify treaties by two-thirds majority would be inapplicable to the deal with Iran. ”Obama also said he would further sideline Congress by anchoring the deal in a binding UN Security Council resolution. This resolution would force Obama’s successor to uphold the deal after he leaves office. ”Obama mitigated his position slightly when Senator Bob Corker, chairman of the Senate Foreign Relations Committee, drafted the Corker-Cardin bill with veto-proof majorities in both houses. The bill, which Obama reluctantly signed into law, requires Obama to submit the deal to an up or down vote in both houses. If more than two thirds of Senators and Congressmen oppose it, then the US will not abrogate its unilateral sanctions against Iran. ”In other words, Obama agreed that if Congress turned the Constitution on its head by replacing the two-thirds Senate majority required to approve a treaty with a two-thirds bicameral majority necessary to disapprove his executive agreement – then he wouldn’t go to the Security Council until after Congress voted. ”When Obama betrayed his pledge and went to the Security Council on Monday, he gave Congress an opening to reconsider its position, ditch the restrictive Corker-Cardin law and reassert the Senate’s treaty approving authority. ”As former US federal prosecutor Andrew McCarthy argued in National Review last week, by among other things canceling the weapons and missile embargoes on Iran, the six-power deal with Iran went well beyond the scope of the Corker-Cardin law, which dealt only with nuclear sanctions relief. As a consequence, Congress can claim that there is no reason to invoke it. ”Rather than invoke Corker-Cardin, Congress can pass a joint resolution determining that the deal with Iran is a treaty and announce that pursuant to the US Constitution, the Senate will schedule a vote on it within 30 days. Alternatively, Congress can condition the Iran deal’s legal stature on the passage of enabling legislation – that requires simple majorities in both houses. ”Dan Darling, foreign policy adviser to Republican Senator and presidential hopeful Rand Paul wrote Monday that senators can use Senate procedure to force the Foreign Relations Committee to act in this manner. Darling argued that House Speaker John Boehner can either refuse to consider the deal since it is a treaty, or insist on passing enabling legislation under normal legislative procedures. ”Monday Netanyahu explained that by keeping US sanctions in force, Congress can limit Iran’s capacity to move beyond the current sanctions regime even after it is canceled. Every state and firm considering business opportunities with Tehran will have to weigh them against the opportunity cost of being barred from doing business with the US. ”Iran for its part may walk away from the deal entirely if Congress acts in this manner. If it does, then the US will not be obligated by any of the deal’s requirements. 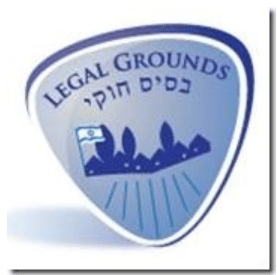 The continued viability of the Security Council resolution will be something for the lawyers to argue over. ”The devil in Obama’s deal with Iran is not in the mind-numbing details, but in the big picture. The deal guarantees Iran will get the bomb. It gives the Iranian regime $150b. ”To secure these concessions, Obama has trampled congressional authority. I was particularly glad to share information today that had been put out by ZOA, for yesterday I mentioned EMET and AIPAC, which are both doing lobbying on the Hill with regard to the Iran deal, and inadvertently left out ZOA, which has been doing this work of lobbying on behalf of Israel longer than either of the other organizations. For this omission – startling because my co-chair in Legal Grounds Campaign is Jeff Daube, who heads the ZOA office in Israel – I sentenced myself to ten lashes with a wet noodle. Here we have Shabtai Shavit, who was director of the Mossad director from 1989 to 1996, voicing the opinion that the current situation brings with it the possibility of enhanced relationships with the Sunni Arab states of the region – notably Saudi Arabia, Jordan, Egypt. He’s not the only one saying this. Perhaps a glimpse of a silver lining in the morass we must currently contend with. “…there is a reason military-to-military cooperation between the U.S. and Israel has remained almost untouchable, and the American military proudly touts its relationship with Israel. Next Facts ignored – The invention of the village of Susiya.